The mining sector came into the news in late September when the Minister of Mineral Resources, Gwede Mantashe, visited the Eastern Cape area of Xolobeni. Here, an Australian mining company has been trying for 15 years – at all costs – to mine titanium. The company and the government met with fierce and united opposition from the community. 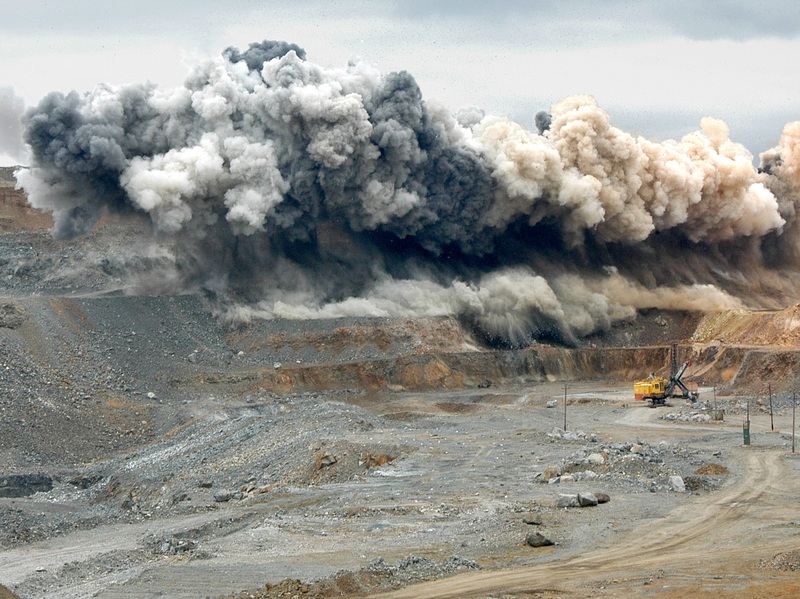 The next day the Minister released a pro-business Mining Charter. A few weeks before he had indicated his intention to drop the proposed amendments to the Mineral and Petroleum Development Act (MPRDA) which have been on the table since 2013. Mantashe said that the area of Xolobeni was impoverished and needed development. By which, he meant mining. The South African developmental story of capitalism and the growth of its working class is to be found around mining and its spawning of the manufacturing sector, banking and so on. • About 50% of those working earn below R3,400. StatsSA points out that the burden of unemployment is also concentrated amongst the youth, accounting for 63,5% of the total number of unemployed persons. This is irrespective of education level. The unemployment rate among young people aged 15–34 was 38.2%. One in three young people in the labour force did not have a job. With a general election looming in 2019, the ANC feels the urgency to show quick progress amongst all South Africans, but particularly these young voters. These factors – short-, medium- and long term – put mining as an engine for growth and redistribution. Enter the new dawn, where mining is seen as a sunrise not a sunset industry. Mantashe did not speak about the harm that mining has caused to mining communities, the stepsisters of mining. In this regard he is not fundamentally different from other ministers before him – the differences are merely over tactics and personalities. The impacts of mining – through all phases, before, during and after mining – have maimed the planet, the people and community wellbeing. The Bench Marks Foundation “Policy Gap 12 ‘Waiting to inhale’: A survey of Household Health in Four Mine Affected Communities” reported on the East and North of Soweto, situated close to the reef in the central and western basins of the Witwatersrand. Six communities, including 450 households, were surveyed using an intensive historical investigation, interviews, questionnaires and focus group discussions. Amongst the many findings, respiratory problems, coughing, asthma, sinusitis, hay fever cumulatively represent the biggest health challenge in the households surveyed. This may be attributable to mine dust containing arsenic, silica and uranium. It may also be the asbestos roofing, or the fact that many houses are simply constructed in flood plains and swamps, meaning that they are constantly damp, and freezing in winter. Thus in Riverlea Extension, or “Zombie”, many residents live on oxygen machines. They live in houses that are damp, because of the nearby Booysens Spruit, which in the rainy season floods right up and across Sand Street to people’s front doors. They live in dust because of the windblown tailings dust from Mooifontein tailings, or the asbestos roofs of their houses. Bench Marks’ 13 years of researching, monitoring and taking action against corporate impacts on people, their communities, animal and plant life demonstrate that the government as a regulator, a defender of people has been a failure. What government has done is to create an enabling environment for the impoverishment of the many at the altar of the few. It has allowed the externalisation of costs on poor and working people whilst corporate leaders have been the toast of the world. The corporations make super profits on the backs, lungs and bodies of the mining communities and the workers they employ. These costs can and must no longer be externalised. We demand full cost accounting. All costs must be considered, so that the mental and physical health of the mining communities can be restored. It is clear that the medicine given to heal poor South Africans has been a toxic mixture that has killed them and their collective prosperity. We need a postmortem as a basis for discussing alternatives that begin with the concerns of the poorest not the richest. This alternative development programme cannot justify selling coal overseas whilst the people at home have electricity black-outs. This development path has been tried and it has failed. 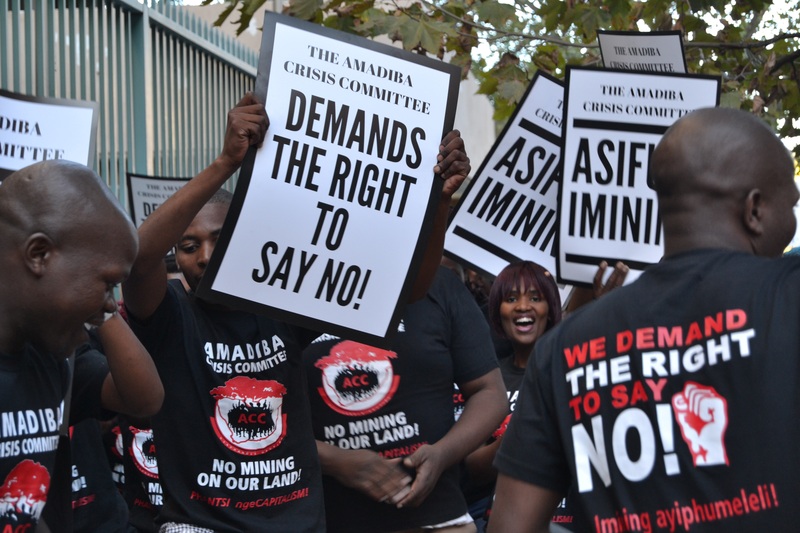 The Right to Say NO is premised on a national consensus that there are places where no mining could take place. There are No Go Areas for Mining. These would be areas, for example, which would endanger our biodiversity and our water supplies, as is in the Xolobeni region where the Amadiba Crisis Committee has kept up the good fight for a dozen years. In addition, I would include the sensitive Mabola Protected Environment, in the Highveld in Mpumalanga, where a number of NGOs have been trying to stop an Indian company, Atha-Africa Ventures (AAV), from mining coal. Mpumalanga is the source of many of South Africa’s biggest rivers. This Mabola area is part of the Enkangala Drakensberg Strategic Water Source Area, which produces water for local communities. Eight NGOs, including Centre for Environmental Rights, GroundUP, and Bench Marks, are resisting. We have vowed, if need be, to resuscitate the international anti-apartheid movement to oppose dangerous coal mining and to obtain their support for a bottom-up development path. The Right of Communities to say No to mining is a central demand in our struggles for alternatives to mining and the search for an inclusive bottom-up, developmental path. The ideological fixation around mining is simply a support for elite empowerment programmes, using the language of the masses. – The free prior and informed consent (FPIC) of the affected people has been obtained. This would mean that it would be truly the choice of local and indigenous communities. People would decide on mining that does not harm people, the environment or their collective heritage and prosperity. These principles would apply for all the phases of mining, from before the prospecting phase to the actual mining itself. Under such conditions, there will still be a need for FPIC at all stages of the life of the mine. It will need strong democratic organisation to ensure that the terms and conditions of the mining and other licences, in particular the Water Use Licences, are adhered to. Finally, where the “free will” of the community has been ascertained by independent witnesses like churches, NGOs and community monitors, it is expected these will be recorded by government agencies including the South African Human Rights Commission. Where people “decide” of their own free will, without being divided, to go for mining (even if we do not agree with the deal), the poor and working families cannot and must not be regarded as enemies. As progressives, we must lick our wounds and get back to work with the workers and the poor. The tasks will be difficult as it means sticking with the communities to ensure that the government and corporations stick to the agreements made with the community. If these agreements are broken, communities must be empowered, very early on, to argue for the revocation of licences. Hassen Lorgat, has worked in the unions, civic associations as well as NGOs for the past while. He is currently the manager of Policy and Advocacy for the Bench Marks Foundation.